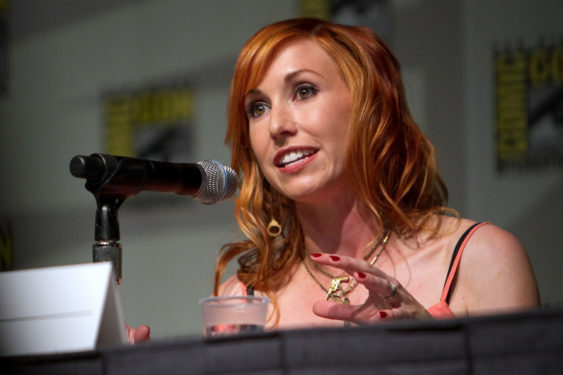 Come join former MythBusters host Kari Byron in conversation with Veronica Belmont. Kari Byron takes the stereotypes and stigma around being a woman on television and in science and – quite literally – blows them up. She is proof that you don’t need to wear a lab coat – or, be a guy – to geek out on science. In turning her love of art, sculpture, and special effects into a career involving explosives and hard hats, she has catapulted herself into an unexpected role as the queen of scientific stunts. Crash Test Girl reminds that science is for everyone, as long as you’re willing to strap in, put on your safety goggles, hit a few walls, and learn from the results. Using a combination of methodical experimentation and unconventional creativity, you’ll come to the most important conclusion of all: In life, sometimes you crash and burn, but you can always crash and learn.